Unfortunately, this item is sold out completely and will not be back in stock again. If you're in between sizes and have a full cup (D+), we recommend ordering up. 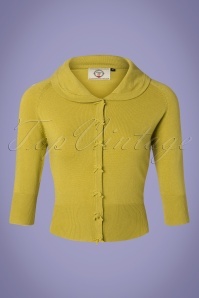 This is our own size guide: this garment is measured ánd tried on by our TopVintage ladies. To avoid any confusion we didn't mention specific measurements. Check our size guide and our possibly mentioned TIP! for your perfect size! 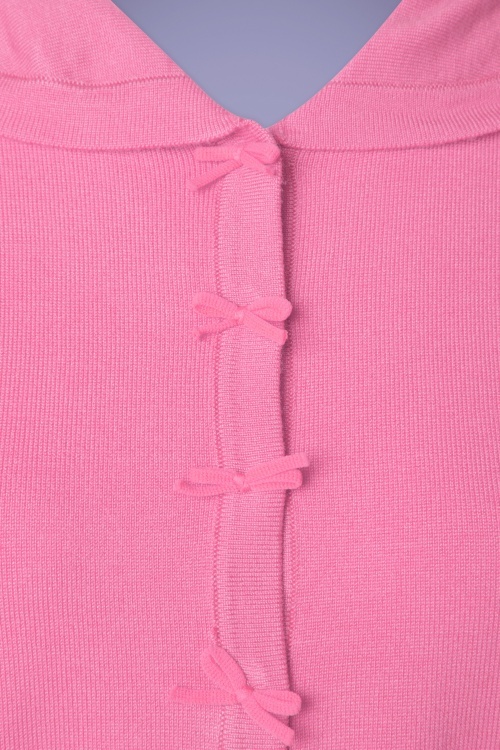 This cute 40s April Bow Cardigan in Pink has stolen our hearts! Classy and cute with her elegant half sleeves, playful Peter Pan collar and adorable little bows. 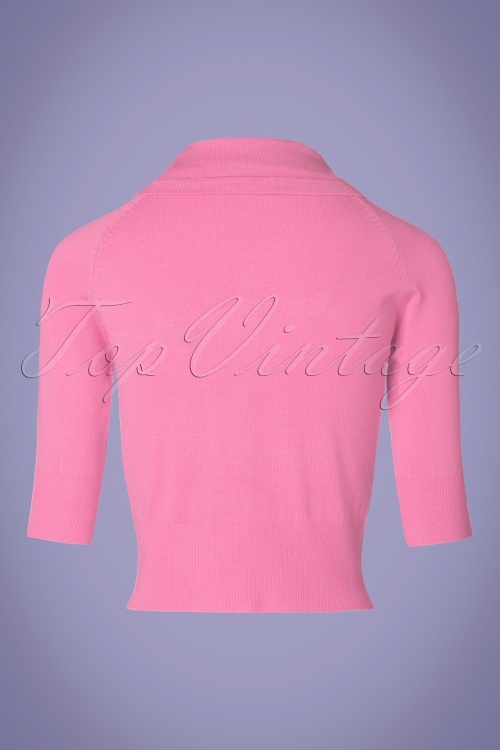 Made from a soft, stretchy, fine knitted candy pink viscose blend for a lovely fit. The combination possibilities are endless! This sweater is my favorite. Have it in every color and wear them all the time, either layered over a top or alone. Holds up very well over time. Ik houd van mierzoete kleuren! En deze items zijn zacht en zoet. Mooie kleuren ook. Word er erg blij van. Pasvorm is goed, materiaal huidvriendelijk. Mooie aanraders!